Manufacture of OEM Printer Components for over 40 years. Belt-Fix Kits are available for all printers with orange-brown colored belts. We have replacement parts for printers! Instructions are so simple to follow that anyone can replace a broken belt in minutes. Dramatically reduce downtime cost because removal from the printer and disassembly of the tractor is eliminated! Improved one piece construction simplifies installation and avoids loss of small loose parts. The PHD Belt-Fix Kit permits fast, easy replacement of damaged, worn, or broken belts. Belts are available in four different sizes and several different styles. Count the number of pins on your belt to determine which belt you need to order (see below.). 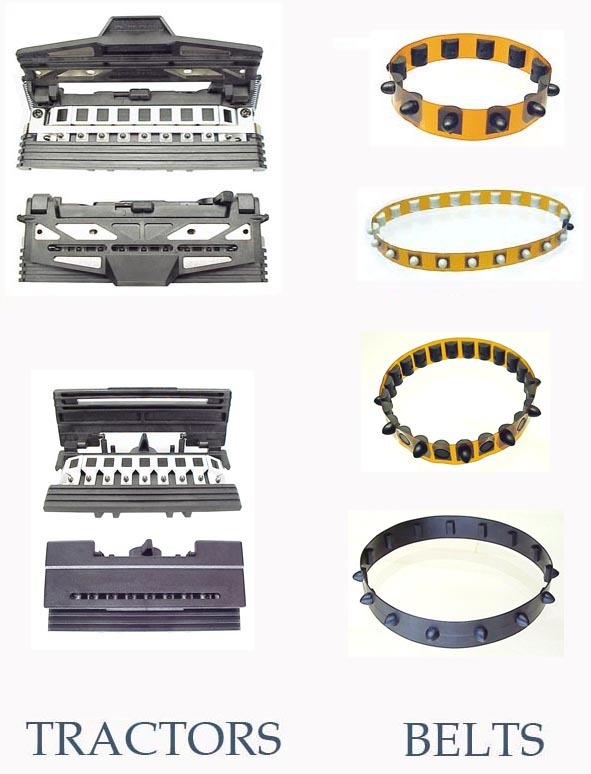 If you are unable to identify your belt, if you need different parts, or if you have any questions regarding our form feed tractors or Belt-Fix Kits, please call 508-679-5282 and talk to our Customer Service Manager, who will be more than happy to assist you with your tractor and belt requirements.